I’m a sucker for brunch, so after seeing Uwishunu’s guide to brunch last semester (one of the reasons I love this website so much), I knew I had to try Green Eggs Cafe. They specialize in brunch, and one thing I really like about this place is that they offer their brunch menu on weekdays too! — which came drizzled in syrup, berries, and lots of vanilla anglaise cream. I recommend it if you have a strong sweet tooth like me! 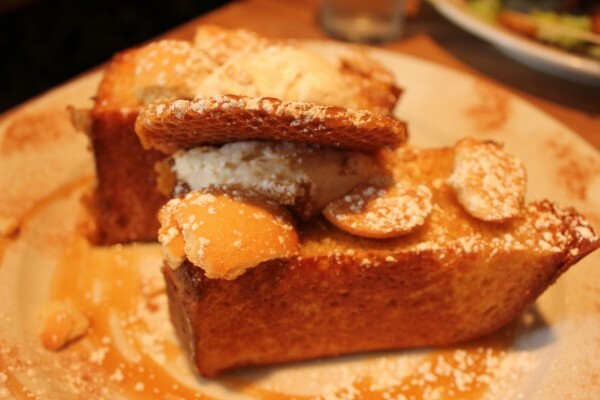 My most recent trip here, I ordered the apple caramel french toast ($10), which was on their list of specials. It came plated very prettily with cinnamon sprinkled all around, and the French toast was topped with cookie bits and a big caramel wafer. Again, good for people with sweet tooths. 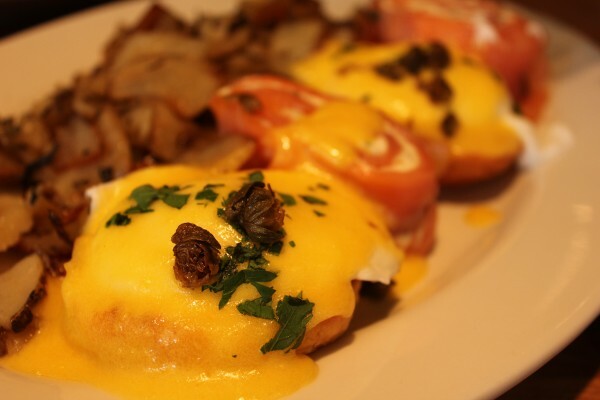 But my favorite dish at this place (at least so far) is their smoked lox eggs benedict ($11). 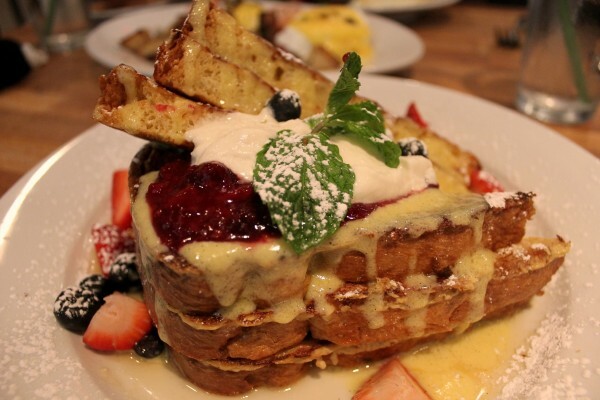 I tried out a couple of brunch places in New York over the summer looking for something comparable, but to no avail. My friend and I liked it so much that he said, and I quote verbatim, “I’m going to name my kid Brunch Smoked Lox Eggs Benedict.” His children would be mocked forever but it really is the best eggs benedict I’ve ever had.